NJAHP represents the state’s leading Medicaid health plans. Aetna Better Health of New Jersey wants to hear from you. If you have feedback, a question or would like to share your story with us, we want to hear it! There are several ways you connect with us. AMERIGROUP serves the counties of Atlantic, Bergen, Burlington, Camden, Cape May, Cumberland, Essex, Gloucester, Hudson, Hunterdon, Mercer, Middlesex, Monmouth, Morris, Ocean, Passaic, Somerset, Sussex, Union, and Warren. Horizon NJ Health serves the counties of Atlantic, Bergen, Burlington, Camden, Cape May, Cumberland, Essex, Gloucester, Hudson, Hunterdon, Mercer, Middlesex, Monmouth, Morris, Ocean, Passaic, Salem, Somerset, Sussex, Union, and Warren. UnitedHealthcare Community Plan serves the counties of Atlantic, Bergen, Burlington, Camden, Cape May, Cumberland, Essex, Gloucester, Hudson, Hunterdon, Mercer, Middlesex, Monmouth, Morris, Ocean, Passaic, Salem, Somerset, Sussex, Union, and Warren. 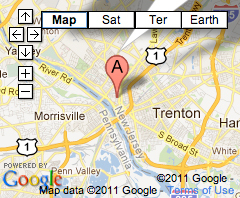 WellCare serves the counties of Bergen, Essex, Hudson, Mercer, Middlesex, Morris, Passaic, Somerset, Sussex and Union.